Home / Unlabelled / INTERNATIONAL YOUTH DAY: A New Day for Anambra Youths . INTERNATIONAL YOUTH DAY: A New Day for Anambra Youths . We have gathered here today to celebrate the Anambra Youth…to celebrate your creativity, your drive for excellence and your determination to succeed anywhere on God’s earth including some of the most hostile locations on the planet. 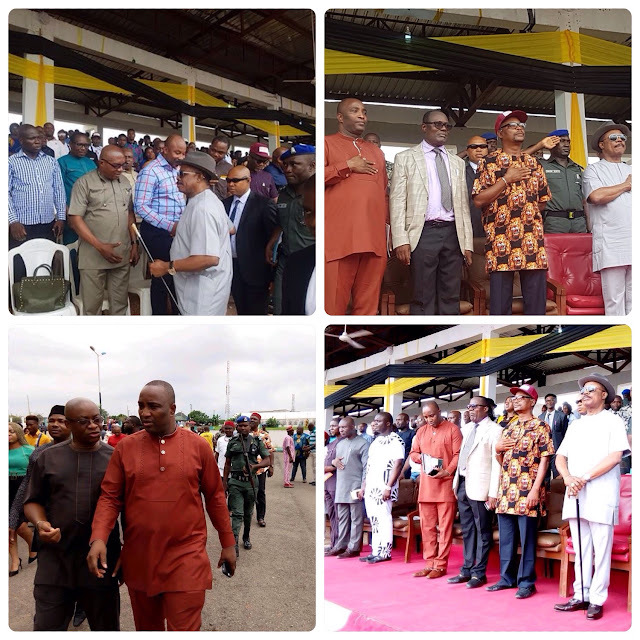 Indeed, there is no field of human endeavour where the Anambra youth has not announced his presence. And just the other day, I received five Anambra youths who were part of the 22 Nigerian youths that were selected by the Obama Foundation for the Obama Leadership Class in South Africa. Ladies and gentle, out of 22 Nigerian youths who attended the conference, 5 were from Anambra State. Please give Anambra youths some accolade, biko! Again, last week, five secondary school girls from Regina Paices Secondary School Onitsha went to Silicon Valley in San Francisco, USA. They are in Silicon Valley to represent Nigeria in the on-going Technovation World Challenge. They qualified to represent Nigeria after defeating other contestants with the technology they invented to help Nigeria fight against fake pharmaceutical drugs. I think our girls deserve some accolade too! Again, those two instances of brightness are not isolated cases. Anambra youths have always proved to be as capable as their contemporaries from around the world and sometimes far brighter than most of them. In 2015, five Anambra school children represented Nigeria at the World Schools Debate Championship in Singapore. Similarly, Anambra youths have continued to show a great deal of promise in all external examinations through the years. They have also shown the same thirst for excellence in sports, leadership, business and economy. These are the things that give us hope. They are also what give us pride, dignity and honour because a purposeful youth is the greatest asset of any society. 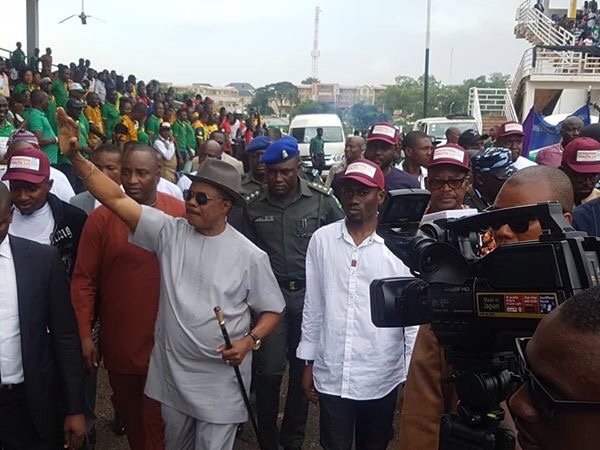 It is in view of this fact that my administration has continued to make efforts to ensure that Anambra youths are adequately integrated into the administrative process. As we all know, the Hon Commissioner for Budget and Economic Planning, Mr Mark Okoye is the youngest commissioner in Nigeria today. The Hon Commissioner for Youth Empowerment and the Creative Economy, Bonaventure Enemali is also one of the youngest commissioners in the country. In fact, my administration holds the record of having the youngest crop of political appointees in its service with over 65 percent of SSAs and SAs given to people under 35 years of age. I think we deserve some accolade there! In addition, we have since increased the Youth Empowerment and Entrepreneurship Budget from N100 million to N5 billion with the objective of empowering over 10,000 youth per annum over the next four years. To harness the expected potentials of this initiative, we have created a Youth Entrepreneurship and Creative Economy Council that will evaluate and direct the creative energies of our youths to eliminate unemployment in the next for years. At the moment, we are doing well in the aspect of providing training to our youths. So far, a total of 500 youths have been trained at the Nnewi Technology Incubation Centre. Also, 350 youths have been trained at the Mgbakwu Skills Acquisition Centre. The graduates of this exercise shall be given N100 million seed money this year to grow their businesses. It is also very important to note that under my watch, the eleven Trade Schools in Anambra State have remained tuition-free since 2014. This is one of the ways we have ensured that Anambra youths are given enough opportunities to live a productive life. Indeed, we have continued to place the Anambra youth first in almost everything we do. For instance, during my recent investment tour of Austria, I made a strong appeal for the offer of scholarships to Ten Bright Students from Anambra State by the city of Graz. The final details of this arrangement are being worked out and sooner than later, some of our bright youngsters shall travel to Austria to study. It should be interesting to note that even when we are out there looking for investors, we are also looking out for opportunities that will benefit our youths. Great Anambra Youths, I want to assure you that under my watch, the youths shall always be remembered in everything we do. In conclusion therefore, I wish to assure the youths of Anambra State that my administration has faith in you. We believe in your dreams. Your fears are our fears. Your anxieties are our anxieties. We shall continue to open new doors for you…create new opportunities and lend a helping hand to ensure that you live your dreams.